Freedom Rockz: Easy Christmas Appetizers Yummy! Some of you may not need appetizers for your Christmas dinner as for me and my bunch well lets just say it does save a few from eating all the candy canes off the Christmas tree from starvation. Everyone gets so antsy in anticipation while the smell of delicious turkey drifts through the air taking with it any once of self control. I usually make some dips, Spinach Artichoke is a big hit with a few bowls of chips. 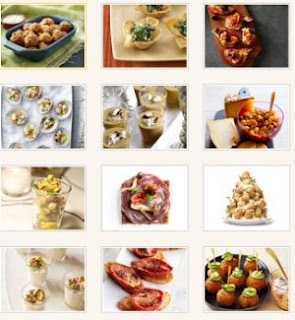 Here are some appetizer ideas for you.